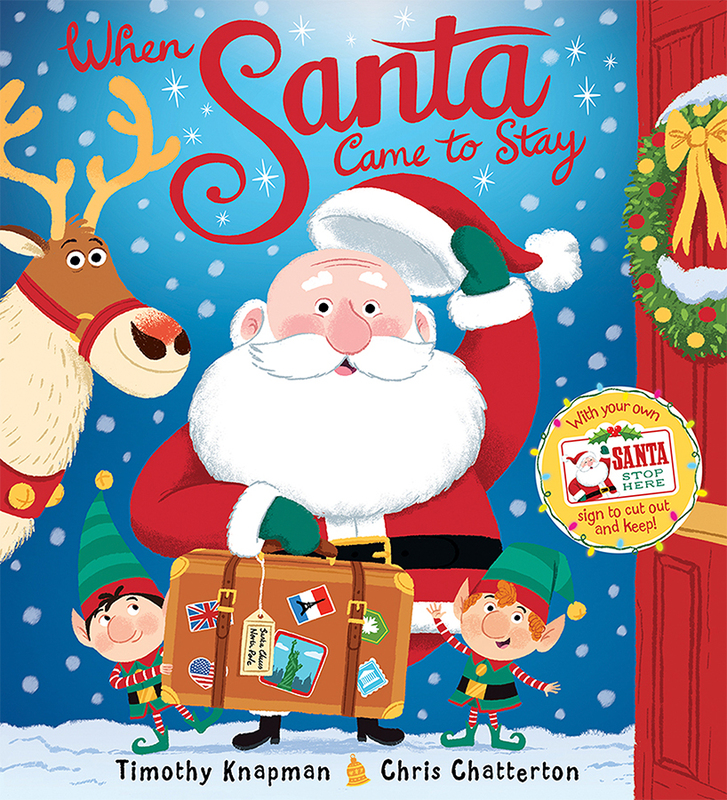 'When Santa Came to Stay' is my first collaboration with Timothy Knapman and Scholastic. Below is a little look at the process behind creating the illustrations. So in the summer heat of July I received a request from the folks at Scholastic to create a sample piece for a Christmas book they were hoping I could illustrate. The images below are those I sent on which sealed the deal. When I receive the story text I usually start by reading through it several times and jot down initial ideas that pop into my head. As you can see in the image below these are so quick and rough, this is the best way I know to get those bad ideas out of your head and also hopefully the spark of something that may work. I then moved on to creating the characters, which appear through out the book. It was rather strange sketching Santa in the summer months. After a couple revisions we finally came to the designs and colour choices shown below. Next of course came the sketches for the page layouts, this was a rather painless process with very few revisions. Once approved I always go on to create a colour rough, which you can see below. To help in the colouring process when creating the final artwork I create a swatch set like the one below to keep things consistent and as streamlined as possible. The cover is always a tricky one to get right in the process of creating a picture book. Below you can see my initial sketch and the type of variations that may be required to get to the final design. This is the first Christmas picture book I've created and I can honestly say I thoroughly enjoyed it. I was really happy with my Santa design and the way the book turned out. A big shout out to Timothy and the folks I worked with at Scholastic, which helped everything go so smoothly.